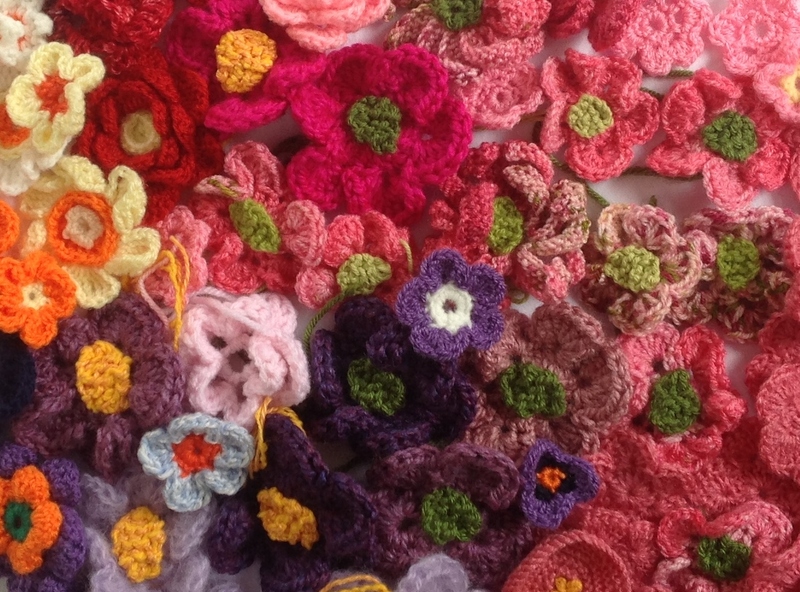 Thank you so much for all your support – it’s amazing to think how many of you have become part of our team by making and donating your fabulous flowers. Not only did the flowers keep us warm, but your thoughts and good luck wishes were there to power us on through the nights wind and rain. Just before we left another 72 beautiful flowers arrived. 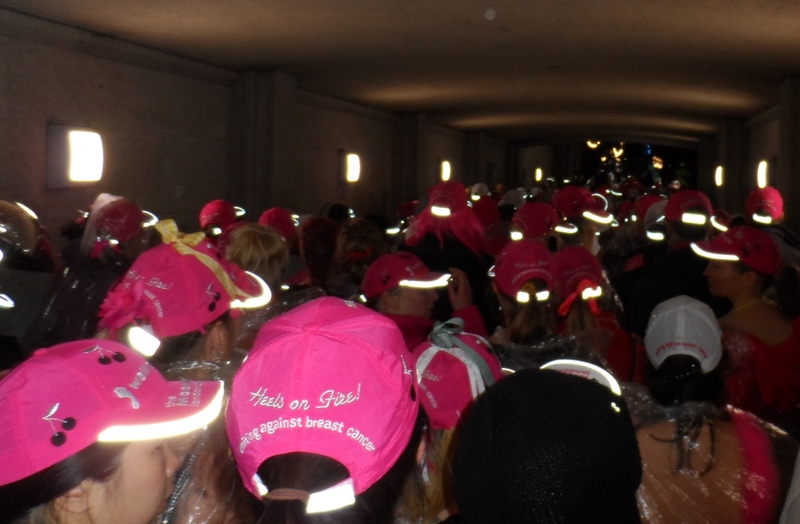 With our MoonWalk bras already decorated, bum bag and hats were given the flower treatment! At Clapham Common (the start point) we were greeted by a huge tent – a kind of marshmallow fairytale castle with turrets and flags. Inside were seventeen thousand MoonWalkers. Wow! Here’s our team – if you can’t spot your flower, they are there – lots more were stitched onto the back of our bras! Over 350 fabulous flowers in total! 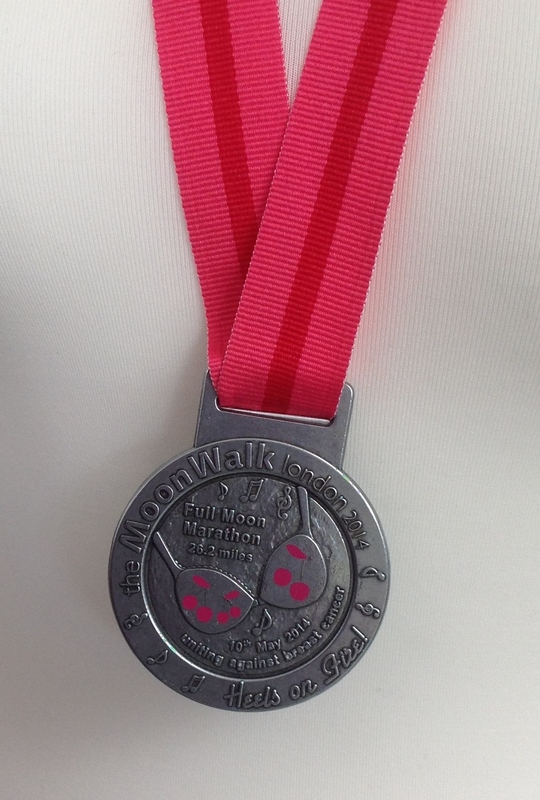 Our team has raised nearly £1,200 for Walk the Walk which will be used to fund various project for the fight against breast cancer – thank you so much to everyone who has so kindly and generously donated. 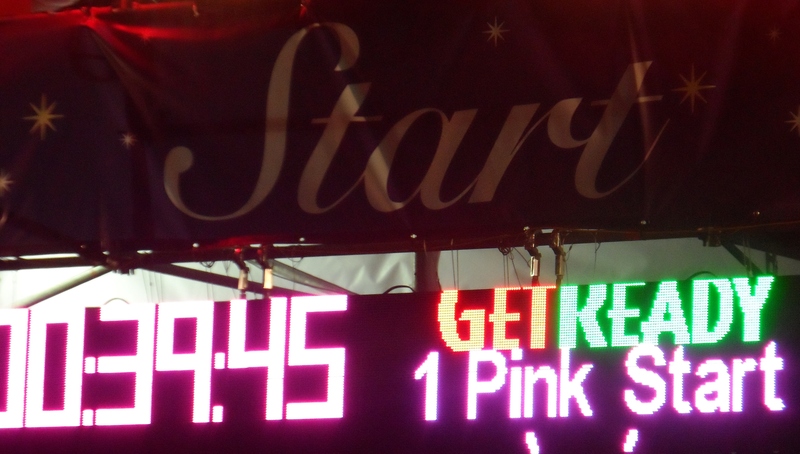 As “Pink starters” our team was one of the last to leave – it was well after midnight before we were able to take our first MoonWalk steps. 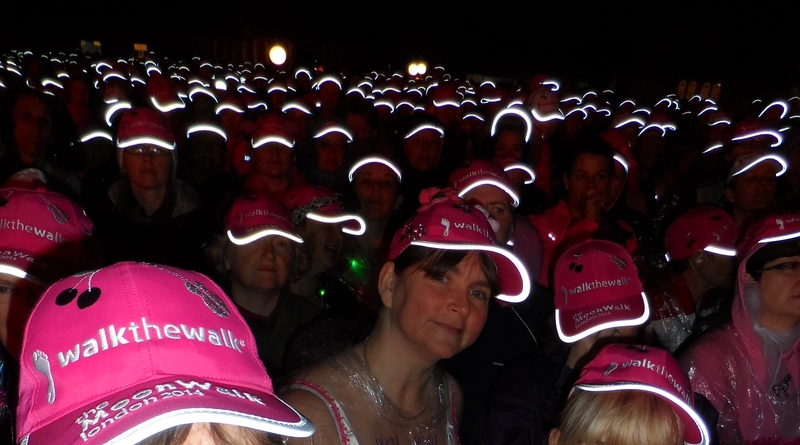 As you can imagine, with so many MoonWalkers taking part, there were a few bottle necks on the bridges and narrow paths – although the first 3 miles took us an hour and a half it did provide a great photo opportunity to capture the sea of MoonWalker hats! 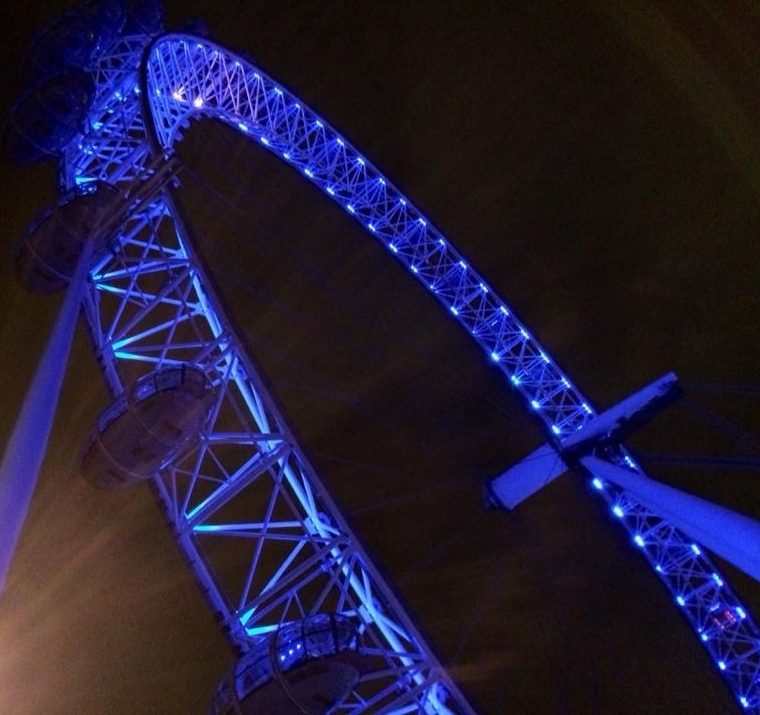 The route took us around some of London’s iconic sites,….. The Houses of Parliament and Big Ben…. 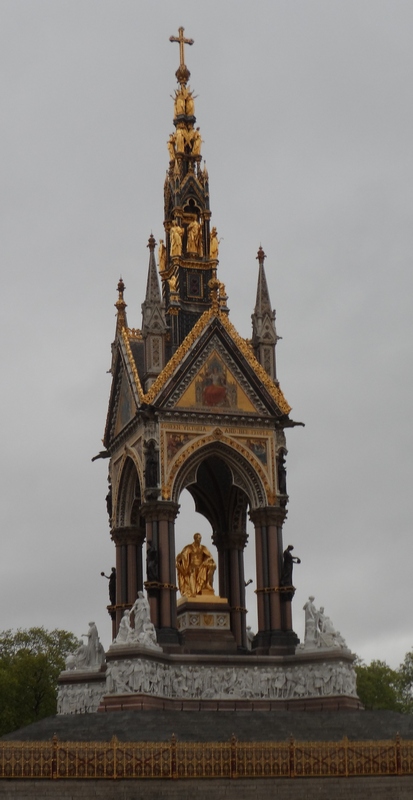 ….The London Eye and The Albert Memorial (opposite The Royal Albert Hall). It was fantastic to see them lit us and the sky lighten as the dawn broke. 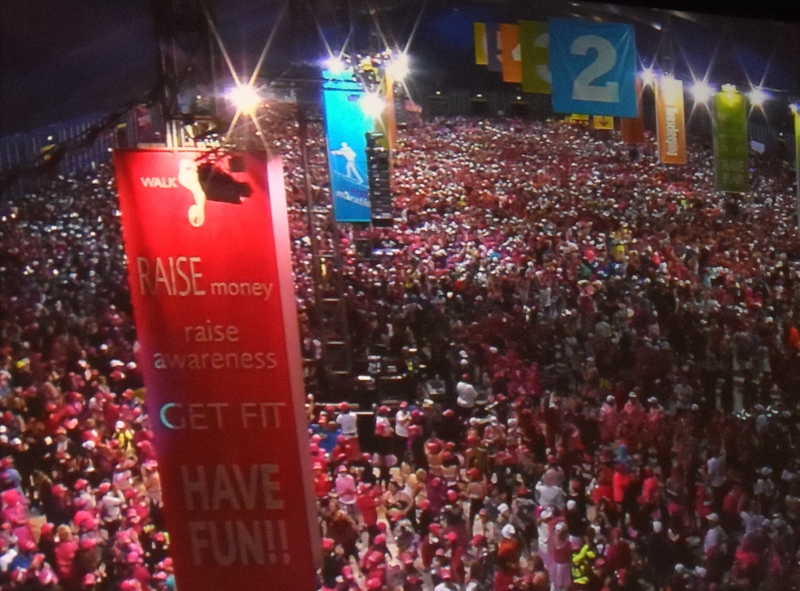 The MoonWalk volunteers were fantastic, as well as seeing us across main roads their words of encouragement gave us all a much-needed lift. My favourite sites were the 26 mile marker and finish line! This just leaves me one more thing to say – THANK YOU! 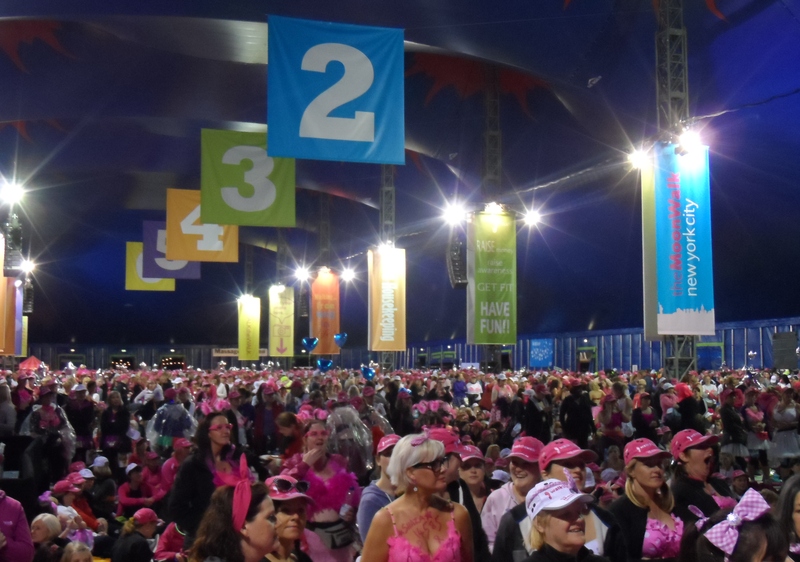 Thank you to everyone who has supported our MoonWalk London challenge – your words of encouragement, financial and flower donations have been amazing. 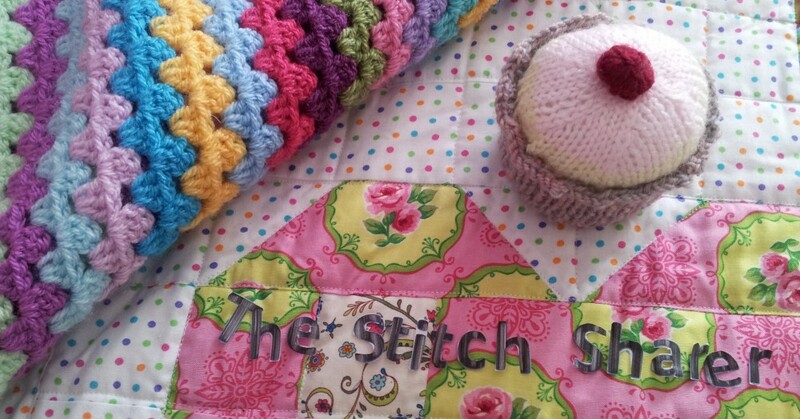 You have made the whole experience totally unique – a real demonstration of stitch-sharer community spirit. 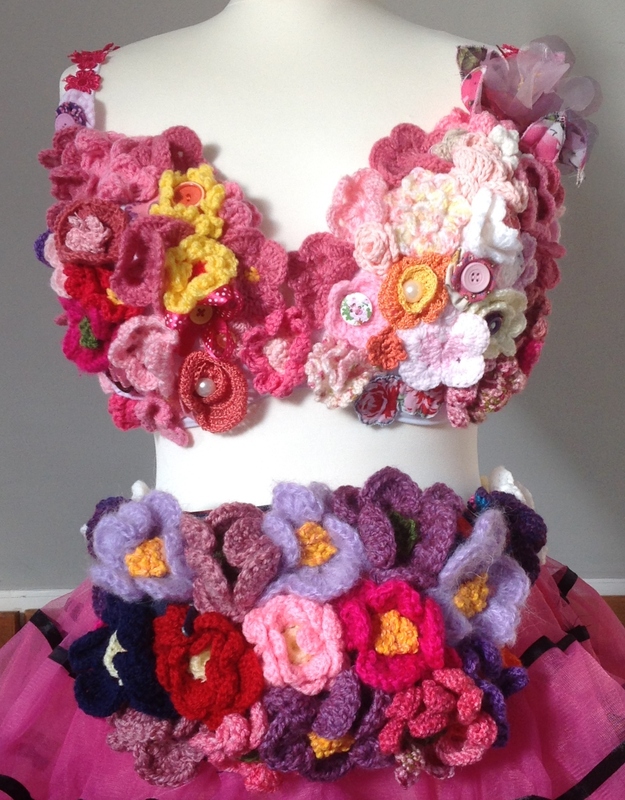 This entry was posted in Crochet, Knitting, Sewing, Stitching and tagged Breast cancer awareness, decorating MoonWalk Bras with crochet knitted fabric flowers, fundraising, MoonWalk London 2014, the stitch sharer, Walk the walk by thestitchsharer. Bookmark the permalink. Well done all, glad to have been a tinyweenyweeny part of what you did. 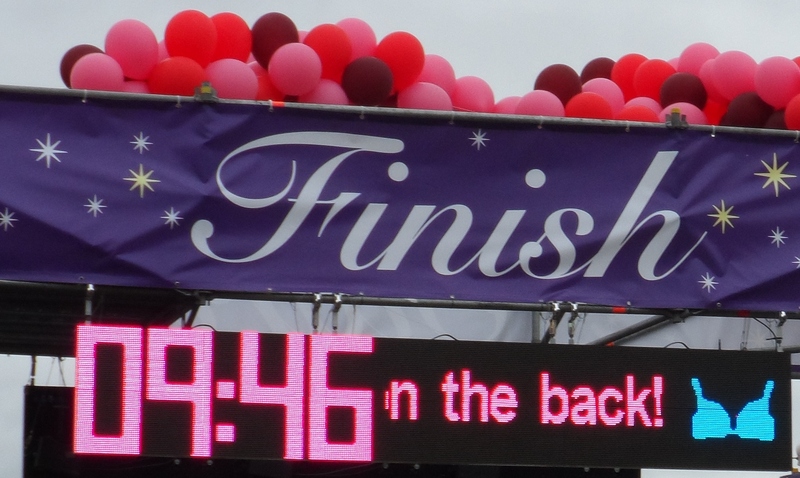 The bras looked great, hope you have all recovered from the walking and lack of sleep. Really, really cute post! All the ladies did great on their bras! !